2D/3D holography master origination just has one layer Hologram image,. It doesn't have any other layers other than on surface. 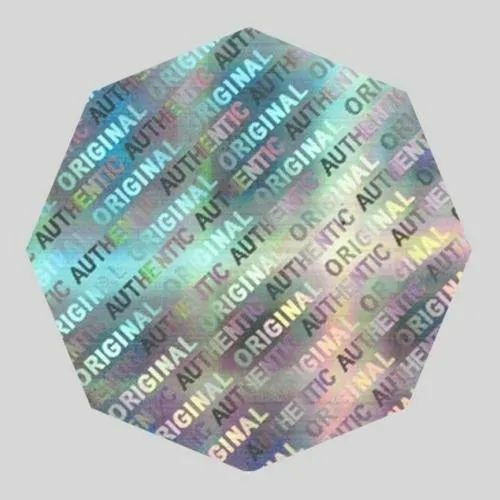 2D Hologram has several color Hologram image or text on surface, without "virtual depth", but very shining, especially, it's big rainbow area. Most of flip-flop effect and most true color image is 2D on surface because it has best shininess. Typically, there are 2 or 3 layers in one 2D/3D design. One layer is on the surface, other layers are in the mid-ground and background or floating. The effect is much like the flat scenery in a theatrical play arranged at different distances from the front of the stage to create the illusion of depth. 2D/3D Holographys have been intensively used on the commercial securities. The depth between the levels is the most important features of 2D/3D Hologram. Good 2D/3D Hologram Stickers has very good visual depth between different layers and shininess on first layer. 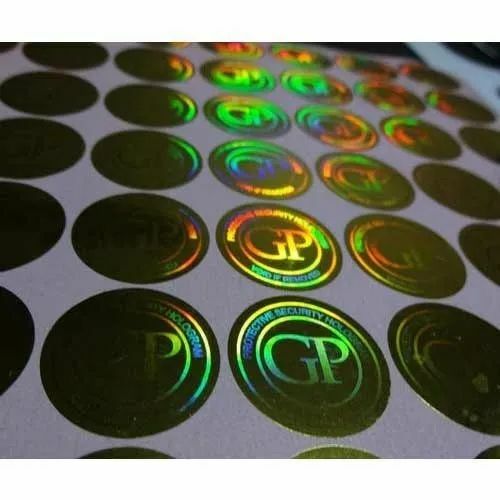 Leveraging on our competent professionals and wide experience, we are engaged in manufacturing, exporting and supplying a superior range of Hologram Stickers. This product is widely used in various industries. The entire range is tested on well-defined parameters of quality to eliminate flaws, in order to offer a perfect range at the clients’ end. We are the leading manufacturer, exporter and supplier of superior quality Holograms, which is developed using optimum quality raw material in compliance with the set international standards. In order to meet various requirements of clients, we offer product in various specifications. Clients can avail these Holograms in standard as well as in customized specifications at reasonable prices. With sincerity and hard work of our professionals, we have carved a niche in this domain by offering quality assured 3D Hologram. 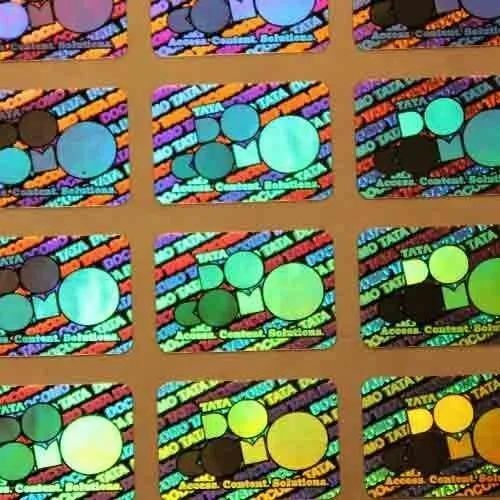 Under the strict guidance of our qualified professional, the offered hologram is manufactured using high grade raw material and modern techniques. Our quality experts strictly examine this hologram against various quality parameters to maintain its varied matchless quality standards. 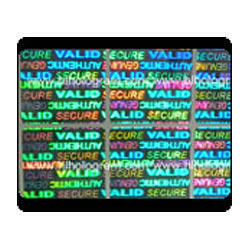 Furthermore, offered hologram is extensively used in several industries for various branding and security purposes. 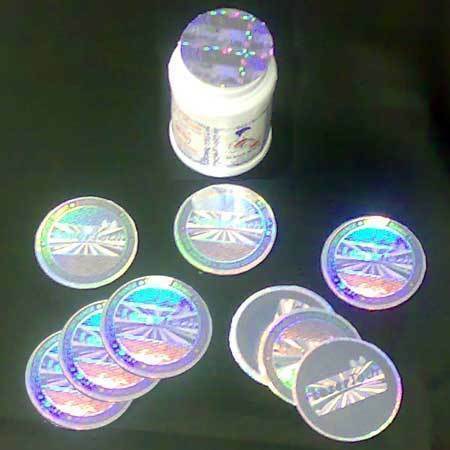 Backed ourselves with sound amenities and talented personnel, we have emerged as one of the leading manufacturer and supplier of 2D Hologram that is broadly used for packaging and labeling purposes in abundant industries. In line with set industry standards, our highly qualified professionals manufactured this hologram in order to ensure its predefined qualities. Besides this, our provided hologram is well known in the market due to its superior finishing and perfect visual effect. Our printing service ensures excellent printing quality, superb designing and customized color combination. Our dexterous and innovative team of designers puts excessive emphasize in the direction of eliminating the complex issues such as over printing, color fading and low quality. We provide printing services to the clients as per their detailed designs and patterns. 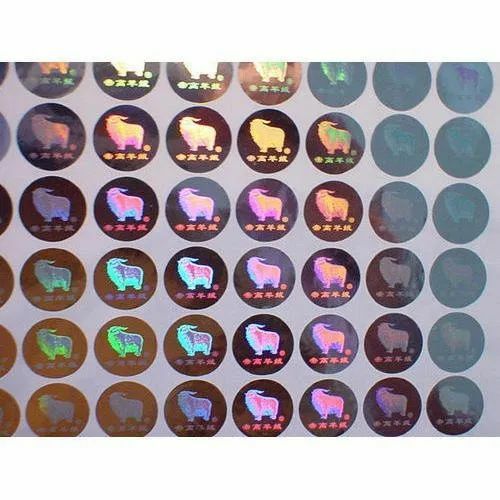 Owing to our excellence and quality focused approach, we manufacturing, exporting and supplying an extensive collection of Silver Hologram Sticker. Available with us in different sizes, colors, lengths and specifications, these offered stickers are simple to stick and are highly resistance to wear and tear. Moreover, we customize their dimensions as per the needs of our customers. 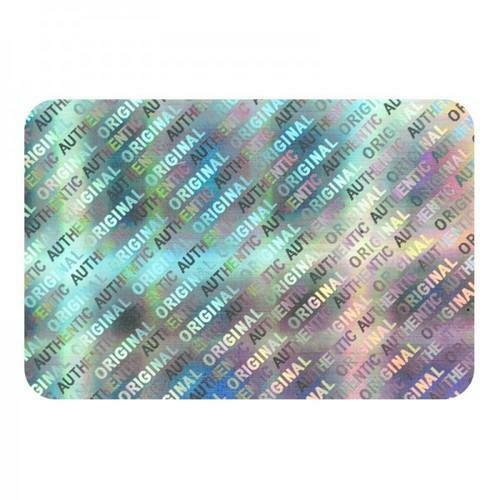 With the assistance of our skilled workforce, we offer a superior quality range of Acrylic Two Dimensional Hologram that is precisely designed for brand promotions and various other fields in the industry. To maintain the quality standards of our provided hologram, this is stringently examined by a team of quality controllers. Moreover, the offered hologram can also be easily modified as per the clients' specific requirements in terms of dimensions, designs and other related specifications. Looking for “3D & 2D Hologram”?